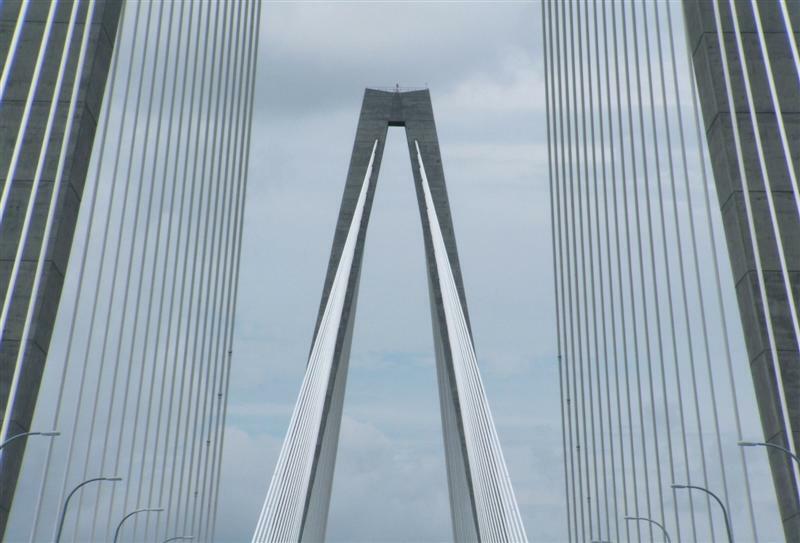 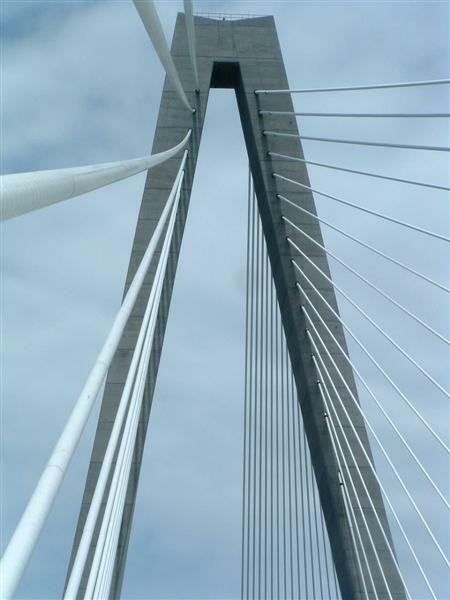 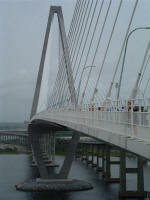 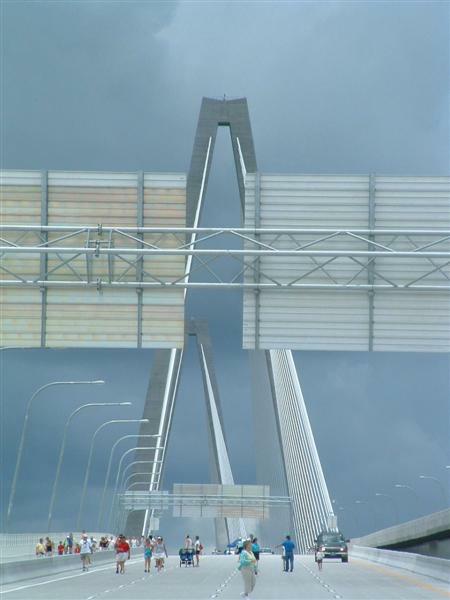 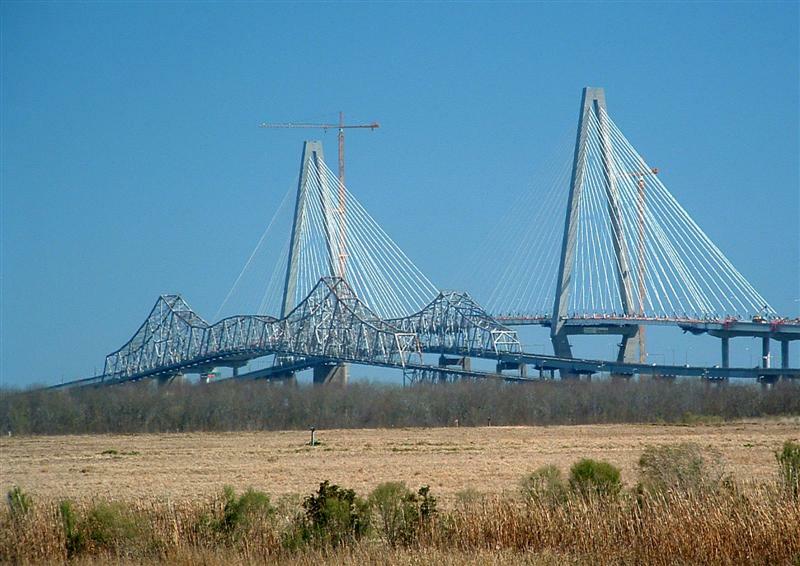 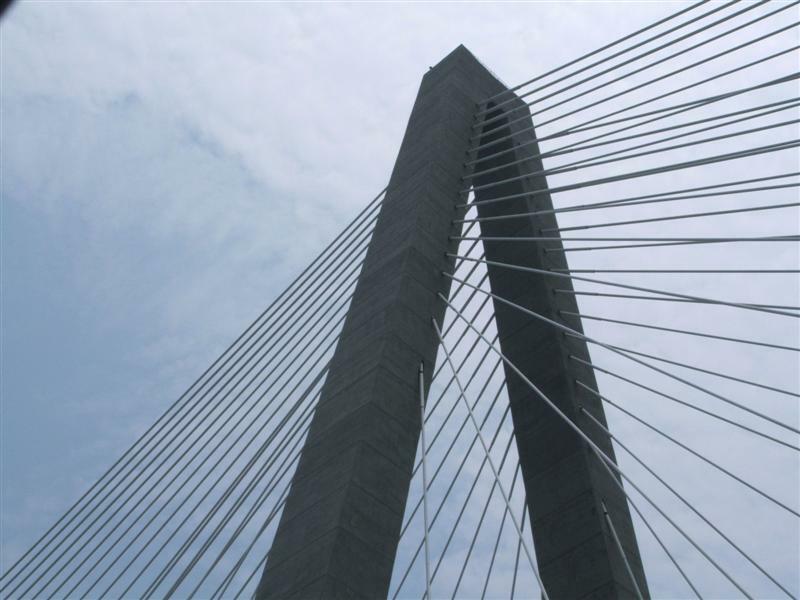 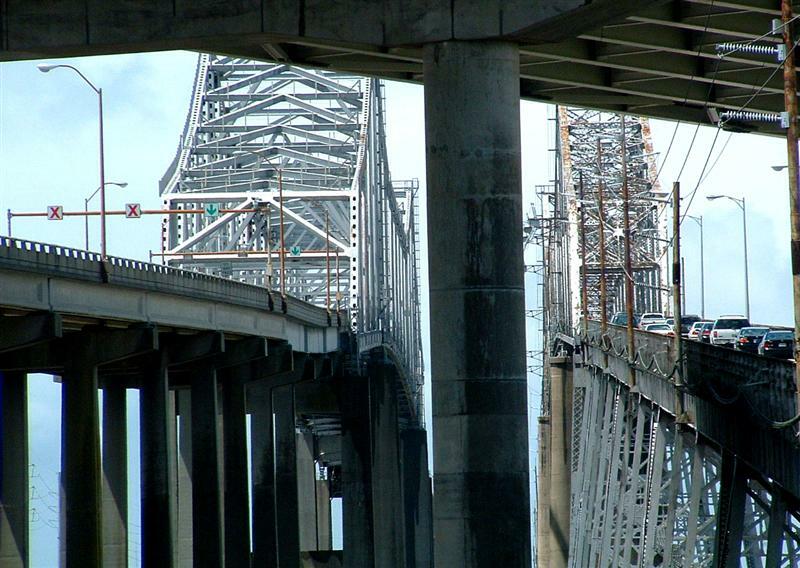 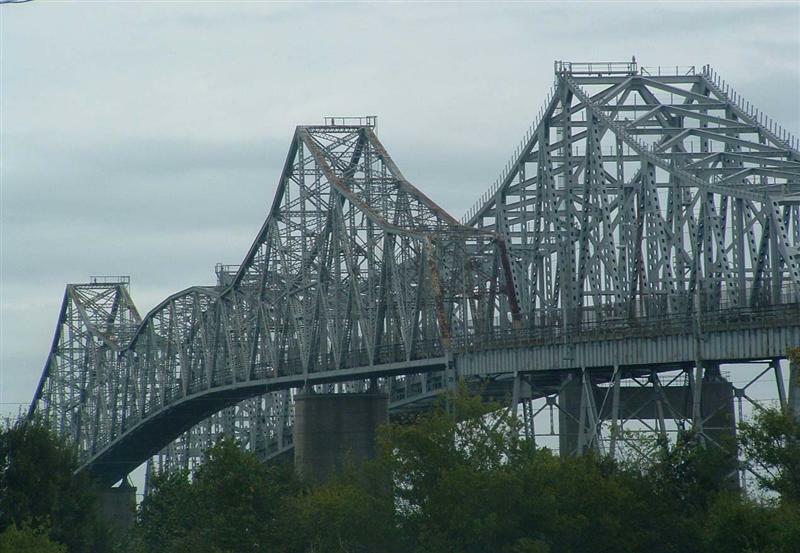 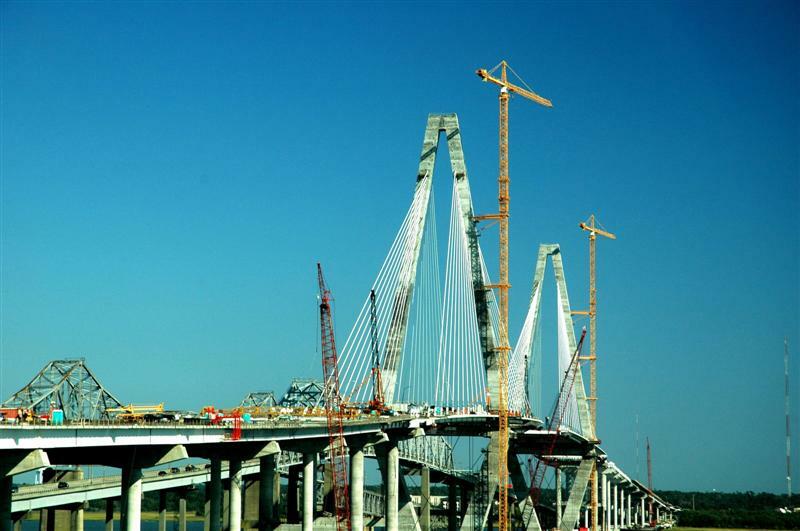 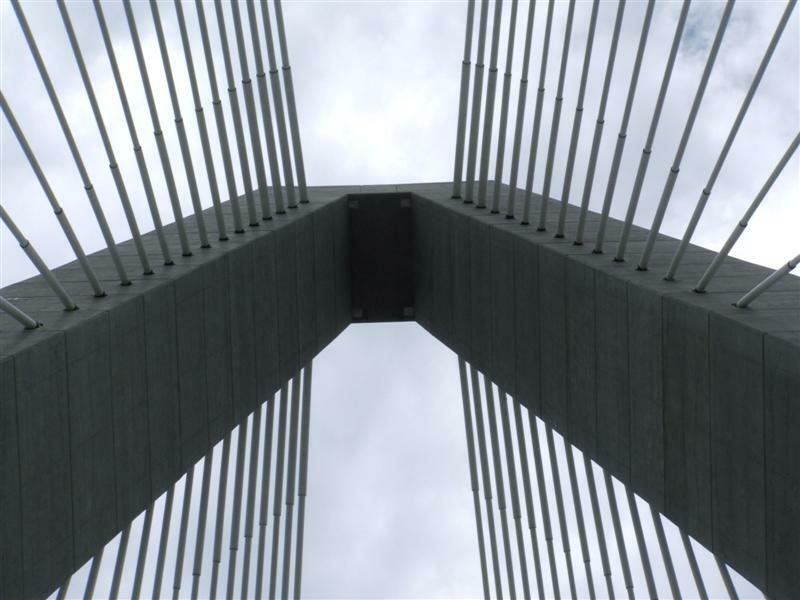 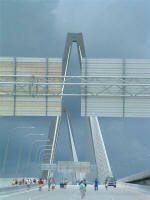 These photos represent the THREE existing Cooper River Bridges in Charleston, S.C. 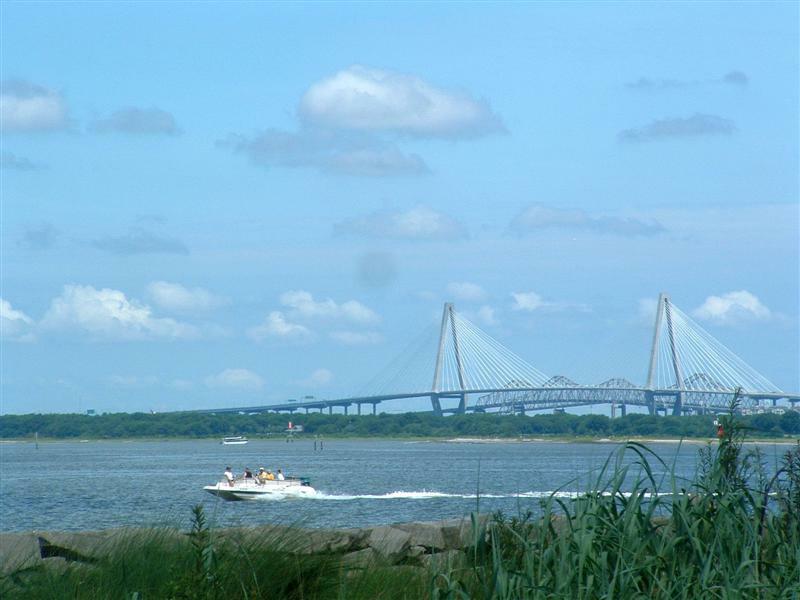 These bridges connect peninsular Charleston with Mount Pleasant. 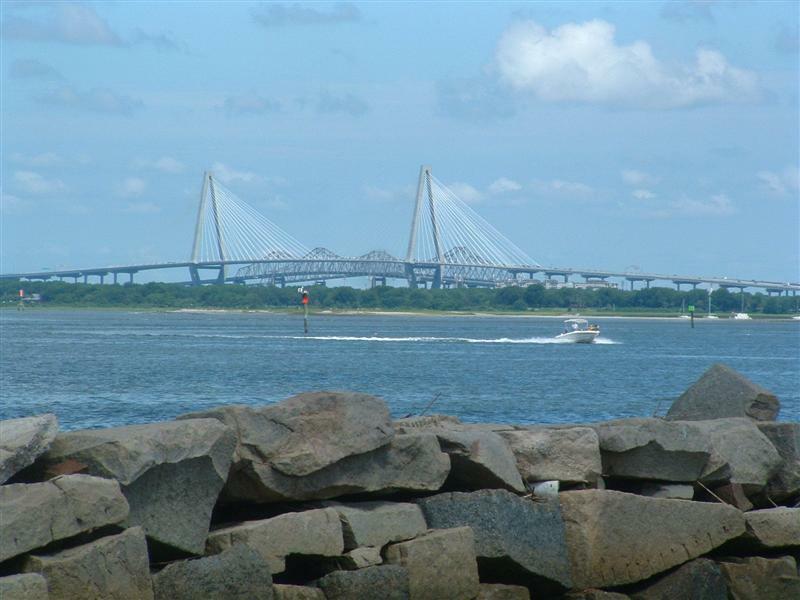 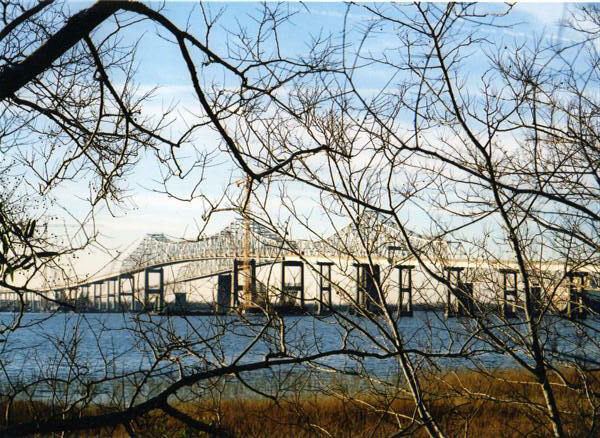 The bridges span the Cooper River and Charleston Harbor, a crucial shipping channel and port. 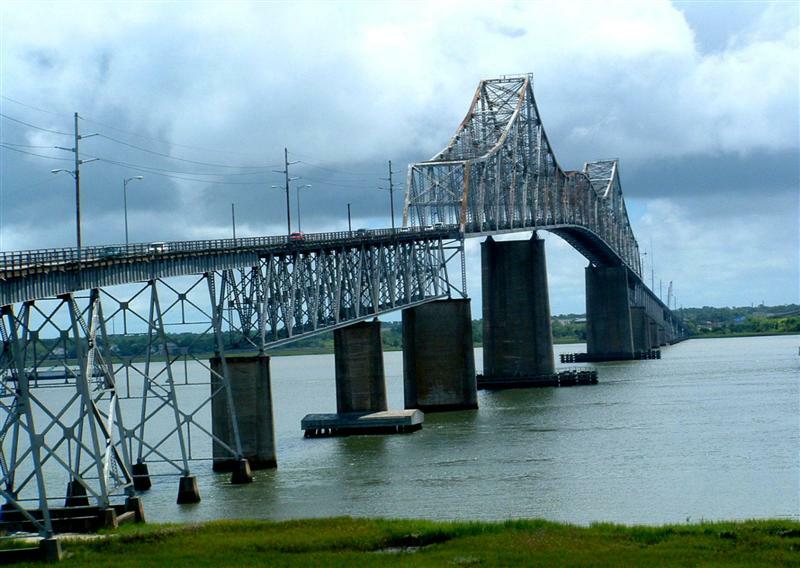 The first bridge to span the Cooper River, the JOHN P. GRACE MEMORIAL BRIDGE, opened on August 8, 1929. 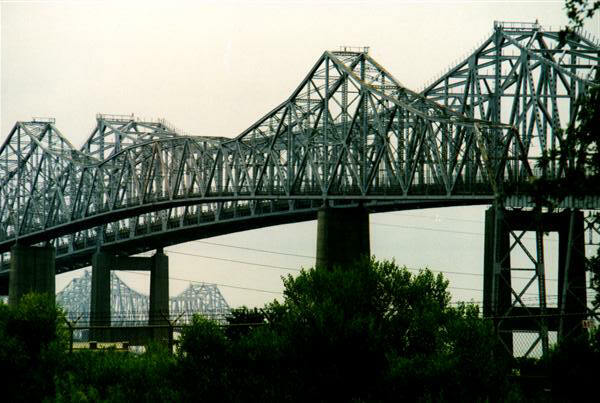 It was a two lane, cantilevered truss design and originally a toll bridge - 50 cents. 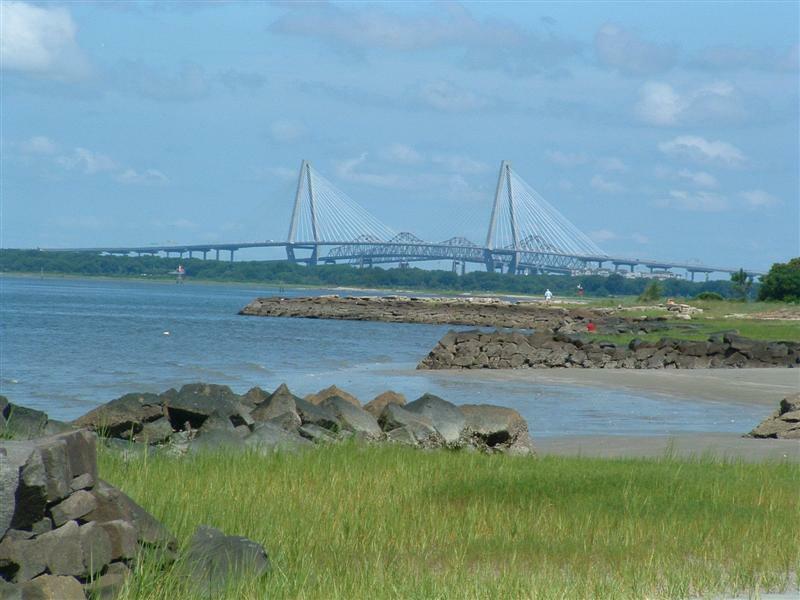 If you weren't crossing the Cooper by boat or ferry, the only other alternative before the bridge was built was an 80 mile detour over dirt roads. 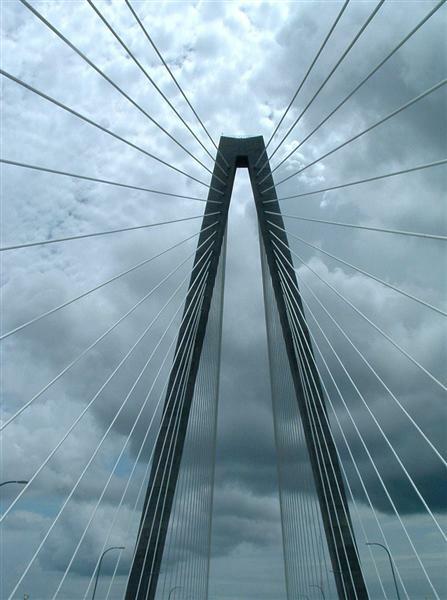 Grace is narrow, aging and scary for newcomers to drive over but she is a nostalgic symbol of Charleston's past when most everyone who drove over her knew the family in the car next to them. 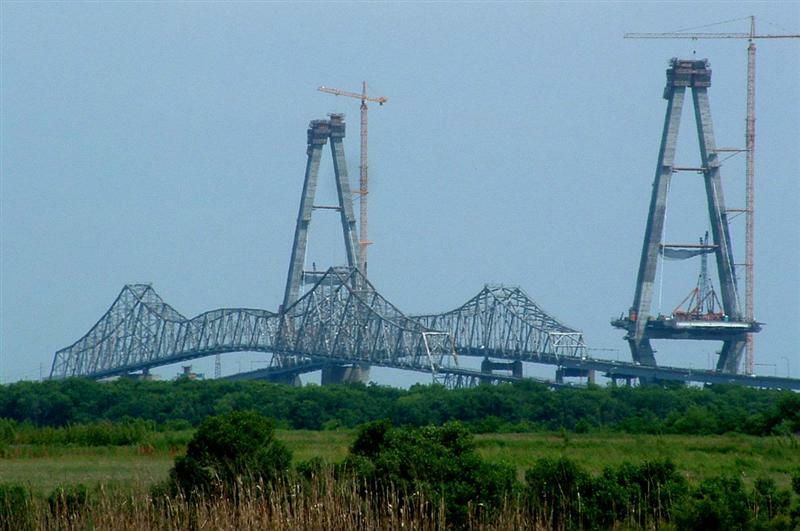 Soon to disappear from the skyline, truly, the end of an era. 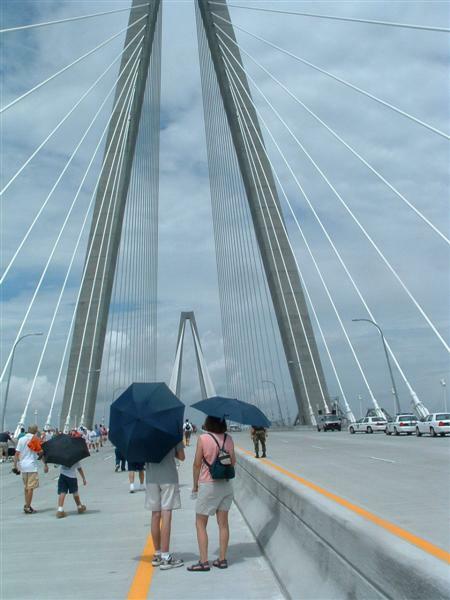 On April 29, 1966, the SILAS M. PEARMAN was opened to traffic. 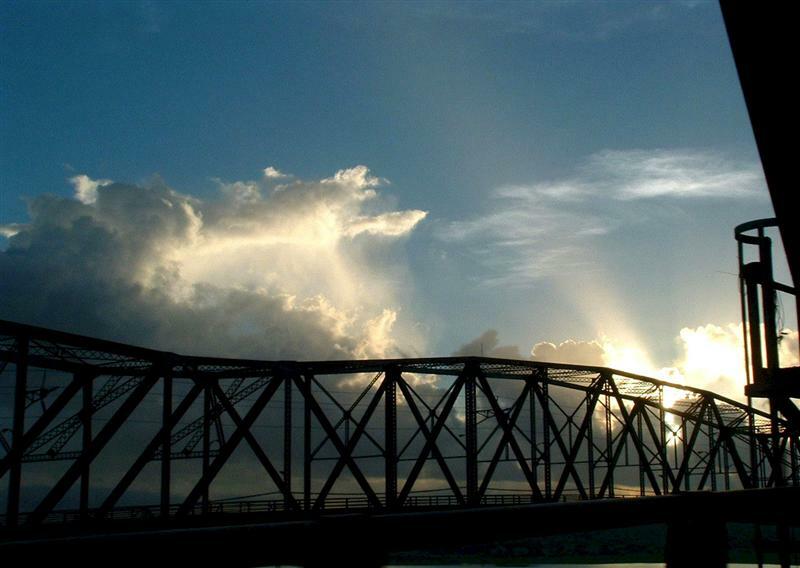 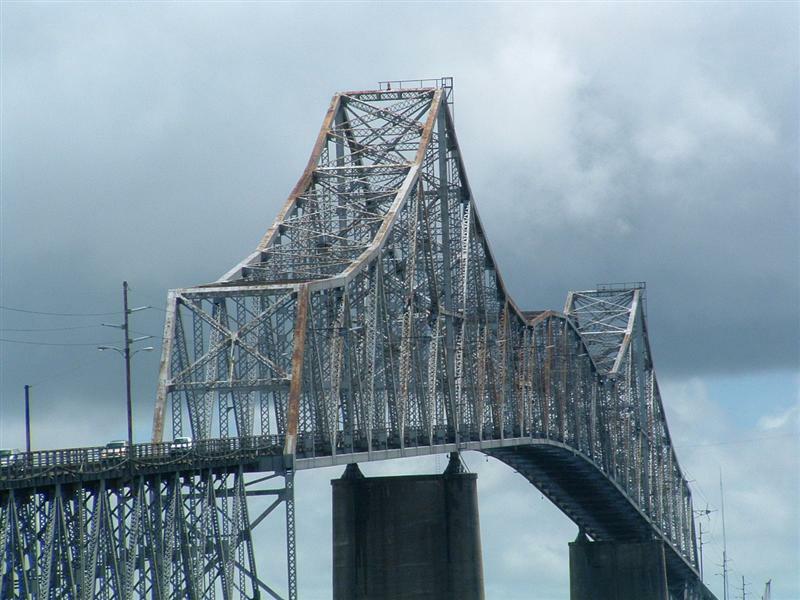 To honor the style of the original bridge, the Grace, it featured a cantilevered truss design. 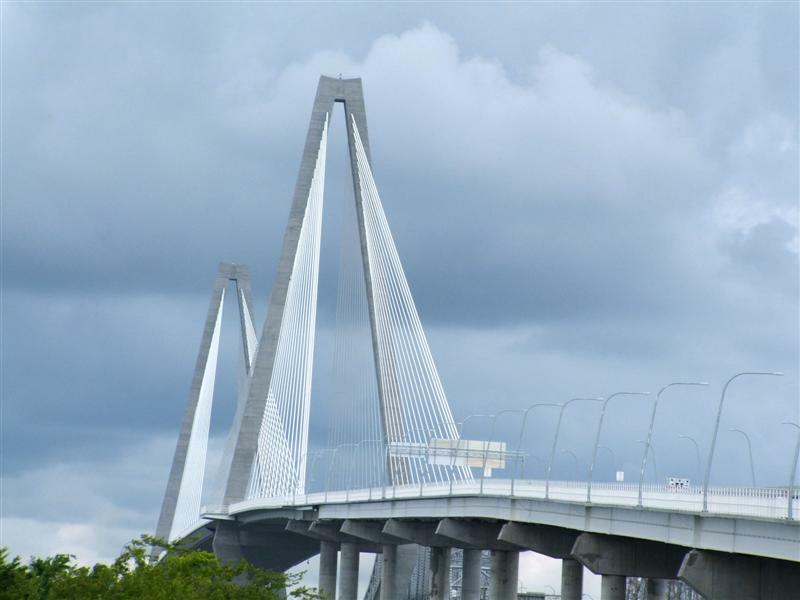 With the opening of this three lane "new" bridge, right along-side the Grace, Charleston and Mount Pleasant had 5 lanes combined to travel between the two growing cities. 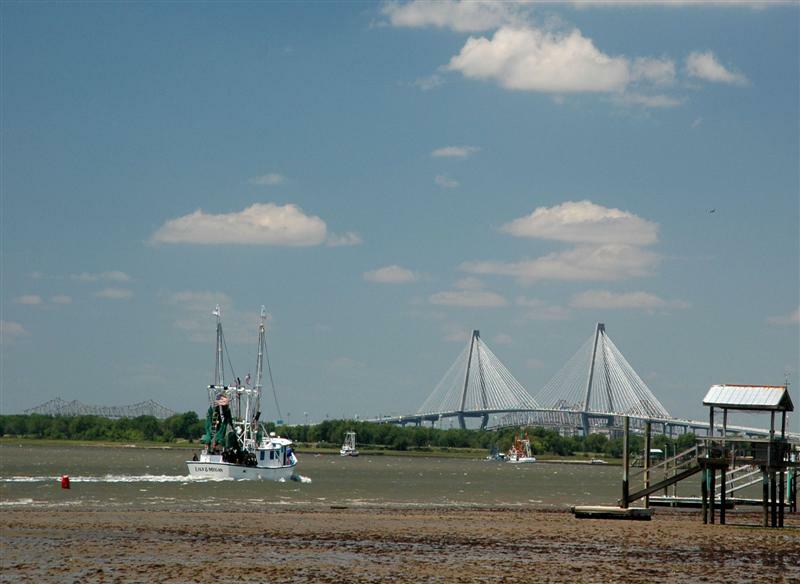 After 76 years and 39 years respectively, of transporting visitors and natives over the Cooper River, the Grace and the "New" bridge Pearman, are going to be retired by a grateful city and replaced by a bridge for the 21st Century. 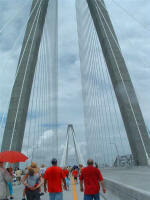 ARTHUR RAVENEL, JR. BRIDGE -- Open to traffic July 16, 2005 -- 8 Lanes and a 12' pedestrian/bike lane. 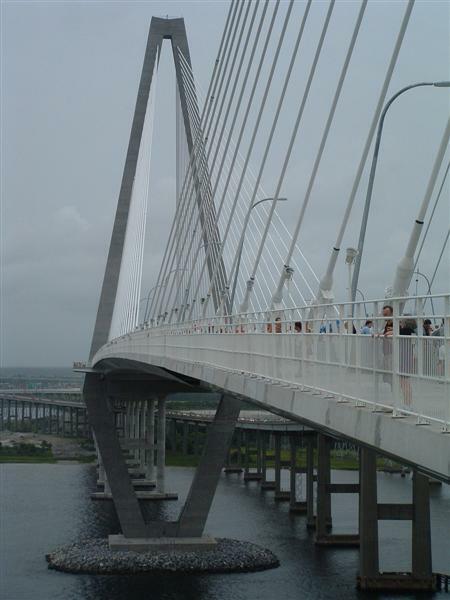 The longest cable-stayed bridge in the Americas; 1,546 feet long. 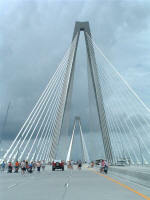 Two Diamond towers soar 575 feet into the harbor skyline. This awesome bridge was named for Senator Arthur Ravenel, Jr. for his critical role in securing necessary funding for this project. 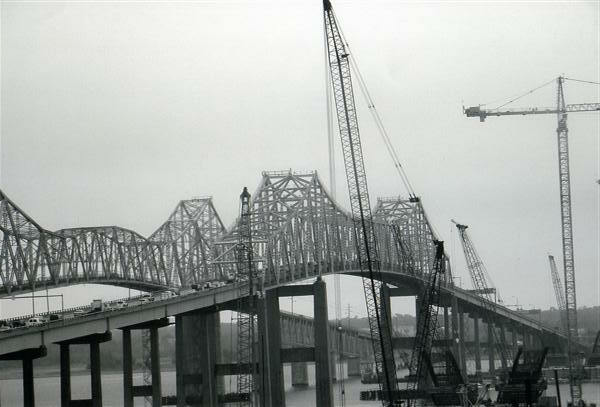 Keep checking this page for more bridge photos.